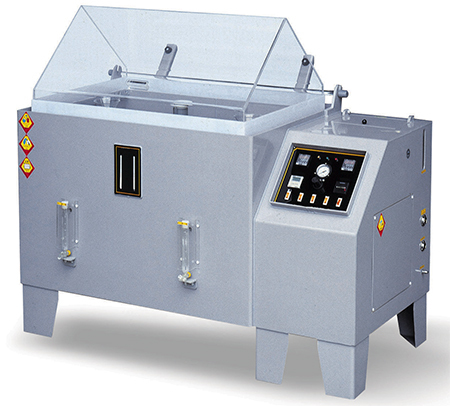 The Salt Spray Tester – Salt Spray Cabinet – Chamber – Fog Apparatus is used to create and maintain the salt spray (fog) test environment, and test the anti-corrosion quality of all the materials surfaces after the rust-proof of painting, coating, electroplating, anodizing and rust-proof of greasing. Our salt spray testers available in two capacities meet ASTM-B117, JIS-D0201, JIS-H8502, JIS-H8610, JIS-Z2371 and other International Standards test methods. Power supplied can be configured upon request.